Press Release Contrary to our previous announcement, we have now decided that the Winchester Ukulele Festival will take a break in 2019 and have a fallow year. The budgetary constraints imposed on a small festival such as ours add to the pressures and although we have always sold out and broken even, in 2019 our partners, the Rugby Club, have decided not to hold a summer ball. This means we are unable to share some of the costs as we have done in the past, so it seems prudent to take a year off and just catch our breath. Please accept our apologies as we are aware that this will be disappointing for many of you who look forward to the unique style and atmosphere of the festival. We hope you can understand the reasons behind our decision. The Winchester Ukulele Festival will continue to run as an organisation and we intend to return in 2020. In the meantime, we are planning a number of smaller gigs and workshops spread over 2019. Many thanks for your support. The Festival Team P.S. All things being equal we’ll see you on Saturday 30th May 2020 if not before. 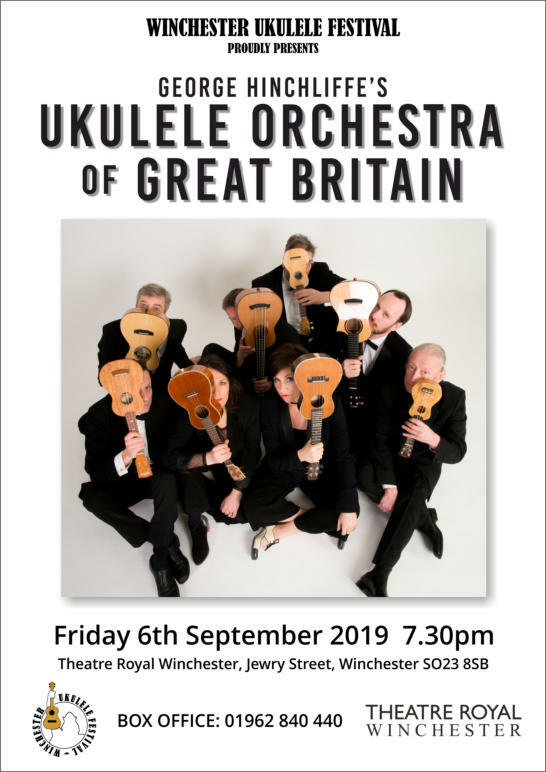 Press Release Contrary to our previous announcement, we have now decided that the Winchester Ukulele Festival will take a break in 2019 and have a fallow year. The budgetary constraints imposed on a small festival such as ours add to the pressures and although we have always sold out and broken even, in 2019 our partners, the Rugby Club, have decided not to hold a summer ball. This means we are unable to share some of the costs as we have done in the past, so it seems prudent to take a year off and just catch our breath. Please accept our apologies as we are aware that this will be disappointing for many of you who look forward to the unique style and atmosphere of the festival. We hope you can understand the reasons behind our decision. The Winchester Ukulele Festival will continue to run as an organisation and we intend to return in 2020. In the meantime, we are planning a number of smaller gigs and workshops spread over 2019. Many thanks for your support. The Festival Team P.S. All things being equal we’ll see you on Saturday 31st May 2020 if not before.